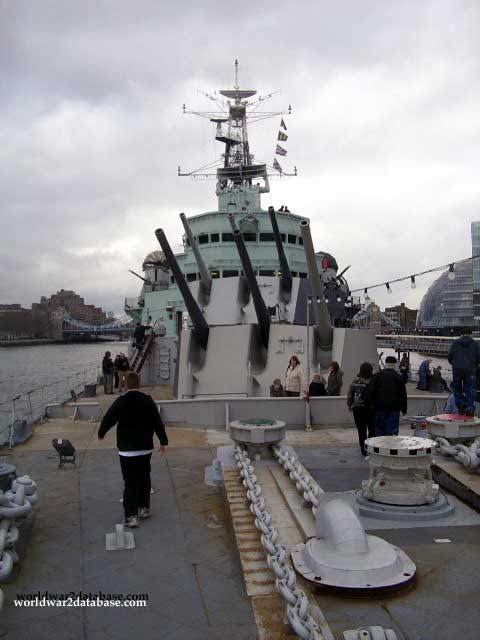 HMS Belfast "A" and "B" Turrets. You can see Tower Bridge behind HMS Belfast. Note the heavy anchor chain. View Forward from Turret "B"